March 22, Voxhaul Broadcast will release their debut full-length reco rd, Timing Is Everything. The record was produced by Tom Biller. Add this to the list of records to look forward to. For your listening pleasure, we have the lead track from the upcoming record, "Leaving On The 5th." Check out the MP3 Grab at the bottom of the post. 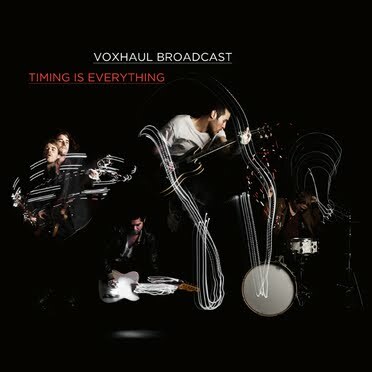 Produced by Grammy Award winning producer Tom Biller (Silver Sun Pickups, Seawolf, Liars) with additional production from Chris Thorne (Blind Melon), Timing Is Everything captures the power of the quartet’s live performances while still holding true to their trademark blend of r&b, rock and soul. The still unreleased album was #4 on KCRW’S “Top 50 Most Played Albums” in the final weeks of 2010 and came in at #67 on KCRW’s “Most Played Records of 2010.” Staple stations KEXP, KROQ & WXPN have been previewing tracks from the full length as well. Licensing has also jumped on board with VB, as they’ll be featured in an upcoming Michelob Ultra commercial with Lance Armstrong set to air during the Superbowl on Feb 6. Expanding their musical reach to every medium, Voxhaul's music can now be heard in movie trailers (Life As We Know It), commercials (Toms Shoes), TV shows (CSI) & promotional videos (Marc Jacobs). MP3 Grab: "Leaving On The 5th"
Video: Elbow - "Lippy Kids"
U.S. Royalty's MIRRORS Out TODAY!